Hail Satan? documents a fascinating journey of religious freedom, political activism, and eye-opening candor about The Satanic Temple, its origins, and plans for America. Summary: Chronicling the extraordinary rise of one of the most colorful and controversial religious movements in American history, Hail Satan? is an inspiring and entertaining new feature documentary from acclaimed director Penny Lane (Nuts!, Our Nixon). When media-savvy members of the Satanic Temple organize a series of public actions designed to advocate for religious freedom and challenge corrupt authority, they prove that with little more than a clever idea, a mischievous sense of humor, and a few rebellious friends, you can speak truth to power in some truly profound ways. 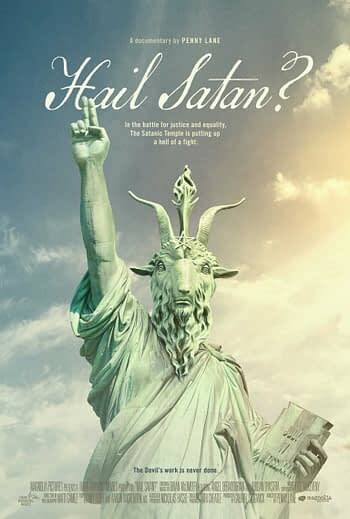 As charming and funny as it is thought-provoking, Hail Satan? offers a timely look at a group of often misunderstood outsiders whose unwavering commitment to social and political justice has empowered thousands of people around the world. Penny Lane’s Hail Satan? manages to entertain and inform equally, treating the subject matter seriously when appropriate, and with earnest humor to highlight the more ridiculous elements. This well-rounded documentary chronicles the formation of The Satanic Temple and some of their more notable, and notorious achievements. It does not shy away from the failures and does not exaggerate the success. Most importantly, no single person who was the subject was vilified or elevated, each subject is portrayed honestly and fairly. Documentaries are notorious for being bland and boring, even when highly enlightening. That is not the case with Hail Satan? 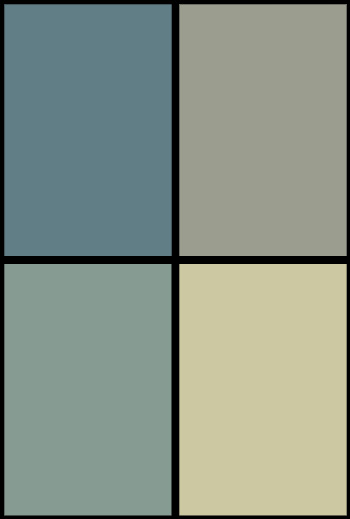 which is well paced, interlacing historical and factual information, with personal narrative. This may be exemplified in the film when members and founders are explaining why Satan is the symbolic figurehead of their organization. The way in which they use biblical examples to highlight the idea that Satan was the good guy is a remarkable moment, coupling truth with humor. In these stories, Satan didn’t lie to humans and was genuinely trying to help. In these stories, Satan was actively attempting to prevent harm, not cause it, he is the protagonist, not the villain. And there is a very genuinely ridiculously humorous moment when they positively identify the origin of the numerous Ten Commandment monuments as coming from Paramount Pictures to promote Cecil B. DeMille’s 1956 film The Ten Commandments. 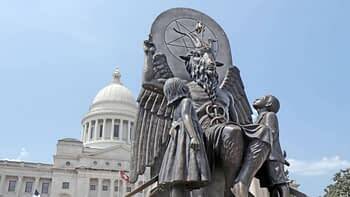 Penny Lane does not paint The Satanic Temple as anything more or less than they are, allowing the members and founders to define the organization. Her approach is thoughtful and unobtrusive, allowing the narrative to be guided by her film’s subjects. Hail Satan? feels honest, and earnestly tells a story that is likely to move a receptive audience. Often the subjects of documentaries are genuinely misunderstood, and documentarians desperately try to put that idea forward. No so here, Penny Lane appears to have approached this film with the idea that while The Satanic Temple may be misunderstood, understanding only requires listening, and no heavy-handed direction was necessary.